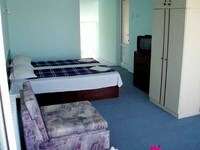 The room is equipped with bathroom , WC and balcony , refrigerator , sat. TV , air-condition and internet. The studio is equipped with bathroom , WC and 2 balconies , refrigerator , sat. TV , air-condition and internet.